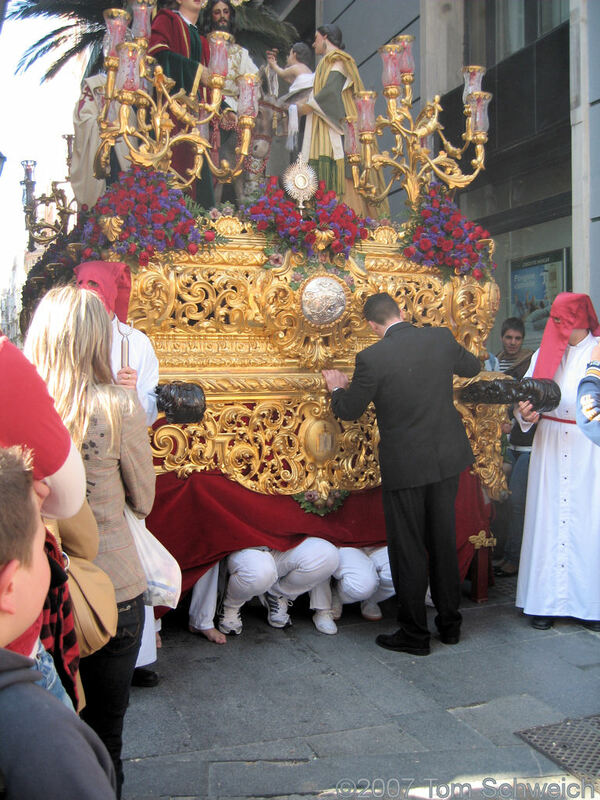 Photo: The "costaleros" under the Cristo. Eastern Mojave Vegetation The "costaleros" under the Cristo. The Cristo stopped just at it entered the Plaza de San Agustin. The “costaleros” set it down and then take a break. Sometimes, they change out the “costaleros” and those relieved from the service race ahead to carry the “paso” up ahead.